Are you faster than a Jalopnik writer? Usually, yes. 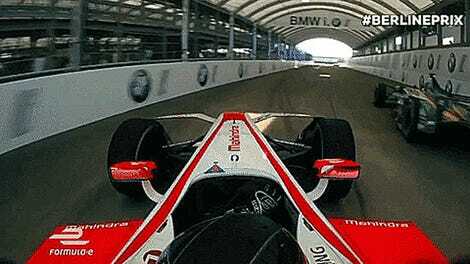 But are you faster than one of Jaguar’s Formula E drivers? We’re teaming up with Jaguar so you can find out next week at Autobahn Indoor Speedway (AIS) in the Palisades Mall outside of New York. RSVP here! Next Wednesday, on July 12, you are cordially invited to Autobahn Indoor Speedway in West Nyack, New York for Jalopnik’s latest reader karting event. Just one $30 ticket allows you to meet the Jalopnik team, enjoy refreshments, snacks and, most importantly, race up to 50 mph in Italian-built, electric pro-karts. 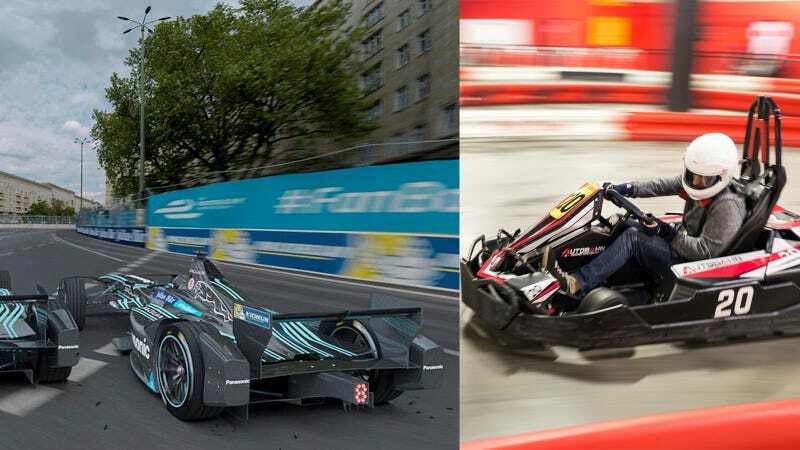 We’re also doing food and drinks because we like you, and Jaguar is bringing some sweet rides to check out—including the Formula E electric race car you’ll see at the inaugural Qualcomm New York City ePrix in Brooklyn next weekend. Jaguar’s also giving away gift bags for the winners of the race challenge, and raffling off 10 pairs of tickets to the Formula E race. It’s race cars! And racing drivers! And electricity! And local celebrities like Mike Ballaban! This is truly the event of the season and you do not want to miss it! What: A go-kart race in super fast carts with your favorite writers and Jaguar’s Formula E folks! When: Wednesday, July 12 from 6 p.m. to 10 p.m.
How: RSVP here, a ticket is just $30. Why: Because... race cars? That’s usually enough. CLARIFICATION: Yes, the event is WEDNESDAY JULY 12, not Thursday as previously listed. Apologies for the crossed wires.